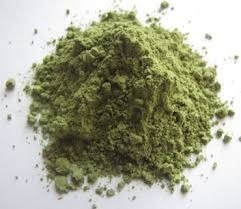 Providing you the best range of cassia obovata, rubia cardifolia, indigofera tinctoria, matricaria chamomilla, bixa orellana and haematoxylum with effective & timely delivery. Banking on the skills of well-qualified and experienced professionals, we are presenting a high-quality range of Cassia Obovata to the clients. The offered product is an excellent conditioner which makes hair thick and glossy with the healthy scalp. Keeping in mind the demands of the patrons, we are also offering these products in various packaging options. With our expertise in providing products, we are offering a variety of Rubia Cardifolia to our customers. Offered products are formulated using high-quality ingredients in strict compliance with the industry defined guidelines. Our offered assortments are available in temper-proof packaging material. In addition, these products are admired for their optimum result and accurate composition. 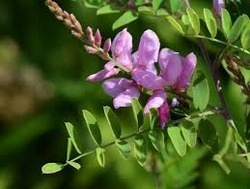 We are among the celebrated organizations in the industry for offering a wide range of Indigofera Tinctoria in the market. The offered assortments of products are prepared from quality approved compounds under the supervision of the skilled professionals. In addition to this, these products are used to make hair dye as well as prepare medicated hair oil. Also, we are providing these products at leading market prices. To fulfill the increasing and ever changing demands of our valued clients, we are highly engaged in offering Matricaria Chamomilla in the market. These are formulated as per the medical norms using pure quality ingredients and latest technology. Apart from this, these offered products are used topically in the skin and mucous membrane inflammations and skin diseases. 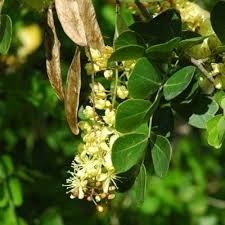 Haematoxylum campechianum (logwood or bloodwood tree) is a species of flowering tree in the legume family,Fabaceae, that is native to southern Mexico and northern Central America. The tree was of great economic importance from the 17th century to the 19th century, when it was commonly logged and exported to Europe for use in dyeing fabrics. The modern nation of Belize grew from 17th century English logwood logging camps. The tree's scientific name means "bloodwood"
Henna or Mehendi (Indian name) is a traditional medicinal plant. It is a middle-sized shrub with many branches with a height of 1.8-7.6m. 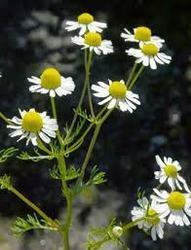 The flowers have fragrance and are small in white or pinkish colour. 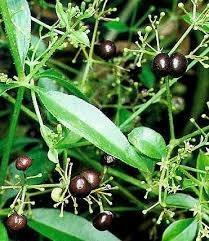 This plant is a gift of nature for fashion in the eastern and western countries to colour their bodies and hair as well. The leaves are 1.3 -3.2 cm and numerous flowers of Henna are less than 1.2 cm. The capsule contains many seeds. Indian women use it as a fashion in every occasion to dye the hair, decorate the palms, nail and feet. Men also use to dye their hair, beard, etc.